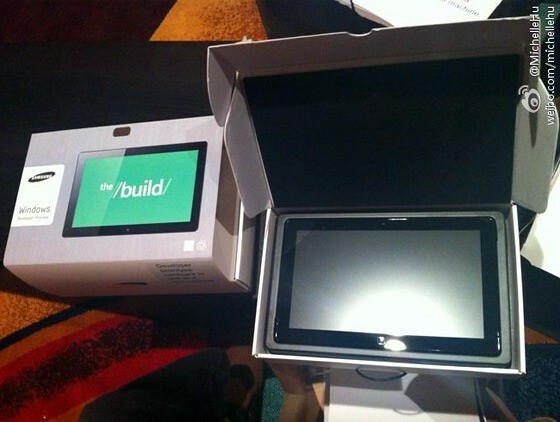 This is a Samsung-branded Windows 8 tablet Microsoft is giving away to BUILD attendees today. The latest in the ongoing patent saga involving Apple, Google, Motorola and Samsung includes an unexpected twist as Samsung goes after iPhone and iPad with a complaint filed before a Paris district court in July. The filing alleges infringement of Samsung’s three technology patents, reports AFP. The first hearing is expected in December of this year. Financial Times today opined that Samsung needs to hit the reset button, predicting a licensing agreement of sorts provided Apple succeeds in blocking Galaxy products in the U.S. next month. Contrary to the reports, the publication thinks “Apple is restricted from taking its chip business to Samsung’s rivals in Taiwan because Samsung offers a complete package of components that other firms cannot match”. However, there are indications that Apple’s been lowering Samsung orders for some time and it’s widely believed the company is eager to take its silicon business to TSMC beginning next year.